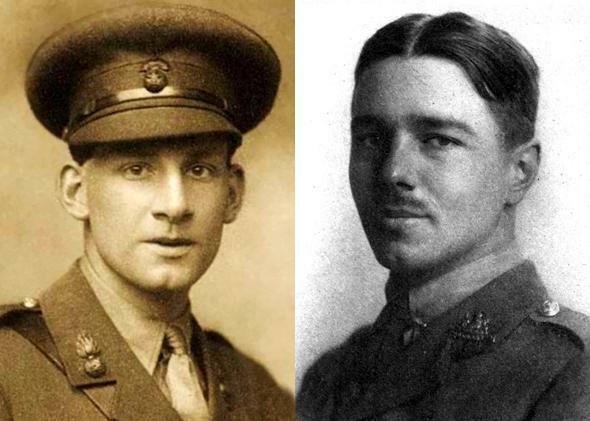 Siegfried Sassoon and Wilfred Owen: The best poems of the Great War are by two gay men. Siegfried Sassoon and Wilfred Owen. Photo by George Charles Beresford/Wikimedia Commons and Unknown/Wikimedia Commons. The warrior-poets were among the most significant chroniclers of World War I. “If I should die, think only this of me;/ That there’s some corner of a foreign field/ That is forever England” and “In Flanders fields the poppies blow/ Between the crosses, row on row” are lines that live on in the popular imagination, 100 years after the outbreak of hostilities. 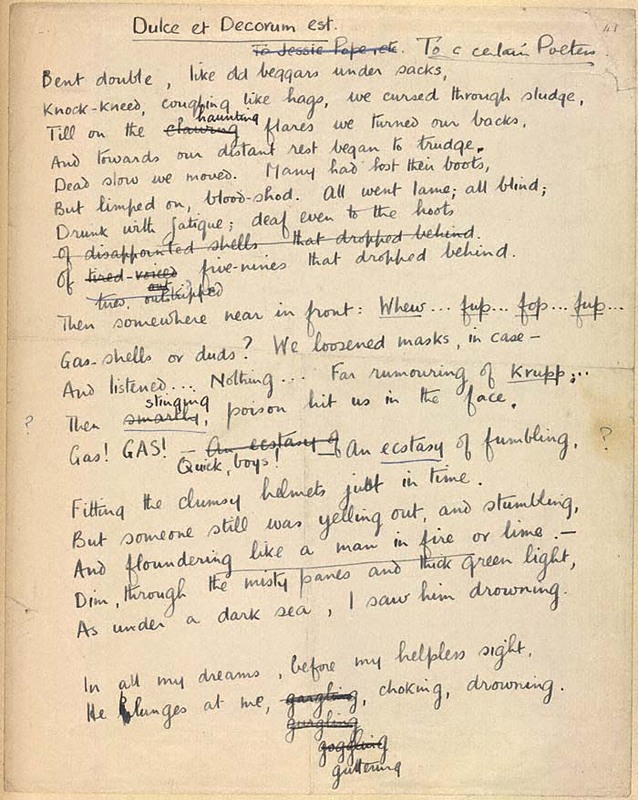 But many of the finest poems of the Great War—including “Anthem for Doomed Youth” and “Dulce et Decorum Est”—might not exist were it not for the pivotal bond between two gay men who were the era’s finest war poets: Siegfried Sassoon and Wilfred Owen. Only my thumping heart beat out the time. Whispering his name, I groped from room to room. That strove in vain to be companioned still. It wasn’t until autumn 1917 that Sassoon would meet Owen. After writing “Finished With the War: A Soldier’s Declaration,” which stated that he could “no longer be a party” to a war that he believed to be “evil and unjust,” Sassoon was deemed unfit for service and sent to Craiglockhart War Hospital near Edinburgh, Scotland. Owen was also at Craiglockhart, having been diagnosed as suffering from shell shock. There, under the care of the pioneering psychologist W.H.R. Rivers, Owen was editing the hospital’s literary journal, The Hydra, as part of his occupational therapy. Owen was in awe of Sassoon, and their relationship at Craiglockhart would prove to be essential to his poetry. Before meeting Sassoon, Owen was a slave to Keats and Shelley, mimicking their Romantic style. He was also largely unpublished. Sassoon, mentoring Owen during the time they had together, encouraged him to write more realistically and directly, using a less elaborate, more colloquial style. In effect it is this: that I love you, dispassionately, so much, so very much, dear Fellow, that the blasting little smile you wear on reading this can’t hurt me in the least. … “You have fixed my Life—however short. You did not light me: I was always a mad comet; but you have fixed me. I spun round you a satellite for a month, but I shall swing out soon, a dark star in the orbit where you will blaze. Owen died on Nov. 4, 1918—one week before war’s end—crossing the Sambre-Oise Canal in the face of German machine gunfire. “His own life is a perfect example of the loss of illusions and innocence that the war brought to our entire civilization,” British broadcaster and historian Jeremy Paxman has written, deeming him “the greatest of all the war poets” and “the voice of a generation”.